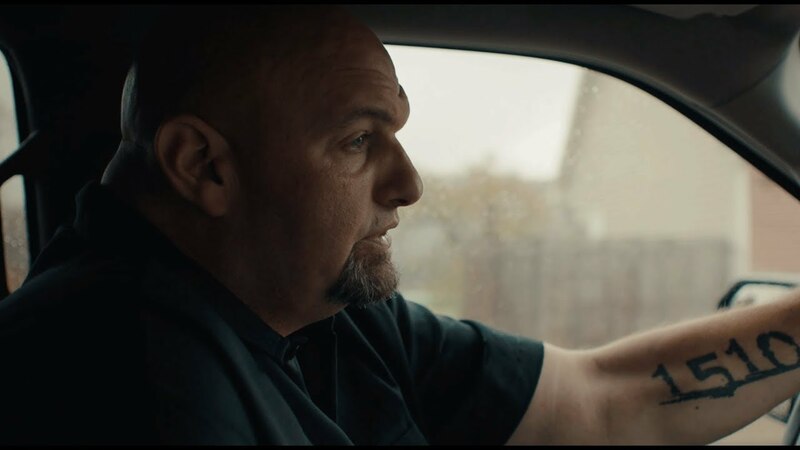 Months before John Fetterman was elected Pennsylvania’s next lieutenant governor, he approached Braddock council and offered to resign the mayorship immediately — if they would appoint his wife to the seat on an interim basis. According to council members present at the July closed-door executive session, the offer failed to earn a majority of council’s support. Council Vice President Robert Parker said John Fetterman’s offer was not “I will resign only if you appoint Gisele” Fetterman, but rather “I will resign if you appoint someone. What about Gisele?” Others on council offered a different interpretation. Council ultimately chose to open the process to the public, and the offer “died on the vine,” Councilman Kevin Henderson said. “His reaction? Well, he wasn’t happy,” Borough Manager Deborah Brown recalled of John Fetterman in speaking with The Incline after Tuesday’s regularly scheduled council meeting. “He had pointed out to a couple council people that they were appointed, and if they were appointed, why would they be upset about appointing Gisele” Fetterman? Council is accepting resumes and letters of interest through 4 p.m. Dec. 10. Applicants must have been borough residents for at least a year and must be registered voters. The appointment will require majority support from the six-member council. The interim mayor will start in January and will have to seek a full term in the May 2019 primary, Council President Tina Doose said. John Fetterman’s current term would have expired in 2022. Two people have already submitted applications. Officials declined to offer further details about the applicants. Council members say Gisele Fetterman is welcome to apply, but John Fetterman told The Incline she has not and has yet to decide if she will. “Politics is mean and I am not. […] I just want to serve the community and state in the best role and best way possible. I have zero interest in power or ego …” Gisele Fetterman said by phone hours before the Tuesday council meeting. The exchange between John Fetterman and council highlights a tension in Braddock politics, one involving a decade-long mayor and at least some in borough government who are looking forward to some distance from him. Before Tuesday’s council meeting, John Fetterman told The Incline by phone that he’d offered to resign the seat — but made no mention of any discussion involving his wife being named his successor. John Fetterman has not resigned and is expected to remain mayor until the interim appointment is made in January. In a subsequent phone call, John Fetterman confirmed that he’d offered to resign if council chose to appoint Gisele Fetterman, but said this was an offer or option and not an attempt to steer the process or secure an outcome, calling the conversation “hypothetical.” He said borough residents — and some members of council — have long told him that she’d make a good mayor and he agreed. He said there was nothing unusual about such an item being discussed in the privacy of an executive session. John Fetterman also said Gisele Fetterman had expressed interest in the position prior to his conversation with council and that he wasn’t “unhappy” with the governing body’s decision. “Tina [Doose] pointed out the hypocrisy of two council members being appointed. There was no application process whatsoever, they were just appointed” John Fetterman said. Clanagan and Henderson said the private process that lead to their appointments preceded their tenure but now they want things handled differently — especially when it comes to the mayor. Through campaigns for U.S. Senate and a run for lieutenant governor with incumbent Democratic Gov. Tom Wolf, John Fetterman has drawn copious amounts of attention to the Mon River town of roughly 2,000. First elected mayor by a single vote in 2005 and re-elected three times since, John Fetterman has also drawn criticism from those arguing that the York, Pa., native used Braddock’s struggles to springboard his political career or that he’s neglected some of his mayoral duties while courting a steady stream of national media coverage. There are also those who say such coverage brought resources and attention that never would have come to Braddock otherwise. As lieutenant governor, he says Braddock will remain his “base of operations” and that his family isn’t going anywhere. In his time as mayor, Braddock — a once-booming steel town that spent decades dogged by crime, outmigration and underinvestment — has seen the main street of Braddock Avenue reborn and the borough’s economic outlook improved, albeit slowly. It remains under the state’s Act 47 program for financially distressed municipalities. And while some have celebrated the changes under John Fetterman’s watch, others in this majority black borough have eyed them with suspicion. Fetterman argues that there is no gentrification underway in Braddock, adding that the borough’s problem was never people being squeezed out and still isn’t, it was people leaving on their own and never coming back. In a Wednesday phone call with The Incline, Council Vice President Parker, who said he supported Gisele Fetterman’s appointment as interim mayor, said this tension is crucial to understanding local criticisms of John Fetterman. “A lot of people don’t like him due to fact of his color, to be quite honest with you,” Parker said. But for all of John Fetterman’s detractors, little of that criticism has extended to his wife Gisele Fetterman, a native of Brazil who lived as an undocumented immigrant in the U.S. for years and who’s well known in Braddock and beyond as founder of Free Store 15104 and as half of the duos behind 412 Food Rescue and The Hollander Project, an incubator for female- and minority-owned businesses. “I hear from supporters all the time and it’s very reassuring,” Gisele Fetterman said by phone before Tuesday’s council meeting. “Honestly, I’d prefer her as a mayor,” Parker added. On Wednesday evening, a text message asking Gisele Fetterman if she was still interested in the role prompted a return phone call from John Fetterman minutes later. During the public comments portion of Tuesday’s council meeting, Rachelle Mackson announced that she’d be applying for the role of interim mayor by the Dec. 10 deadline.